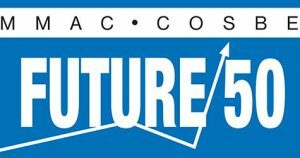 Milwaukee BizTimes published its Future50 list of this year and WFA Staffing is pleased to work with members of that newest Future50 list given our own appearance as a member company of the 2015 Future50. We congratulate you all and wish you the very best as you continue to improve and grow. We know what this accomplishment takes in terms of organizational fortitude, capable staff members giving their all, and clients that fuel the growth of every Future50 recognized organization. ‘Been there and done that’ can be sort of a trite phrase. That is except for those organizations that have ‘been there and done that’. Many preceded us in that honor roll and many have followed. Each company has its own personality. Its own driving goals and people contribute to the attainment of those goals every day of the working year. Our business is helping companies locate, recruit and hire the people who are going to continue the growth of each of our client organizations, quite a few of which have been featured in the Future50 and many of which will certainly be candidates for that group over time. We know that behind every successful company, no matter its field, is a capable leadership team, and talented and eager-to-grow staff members. We also recognize that, with the growth happening in S.E. 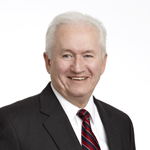 Wisconsin today and for the foreseeable future, people are going to be an ever-scarcer part of the success equation for every company whether new, around for a while, or a repeated success story over the years. We know what it took for us to reach the ‘Future50’ level of achievement. In addition, we also have a good idea of what it took for this years’ group of honorees. We also know what it will take for those honorees to come: great people at every level within the organization no matter what the product or service nor whom its customers. These are the keys to sustained success and future growth no matter the product or service provided. Let us help you either stay in that group, or be selected to become a member of that group. At the risk of over-simplifying… it is about the people.